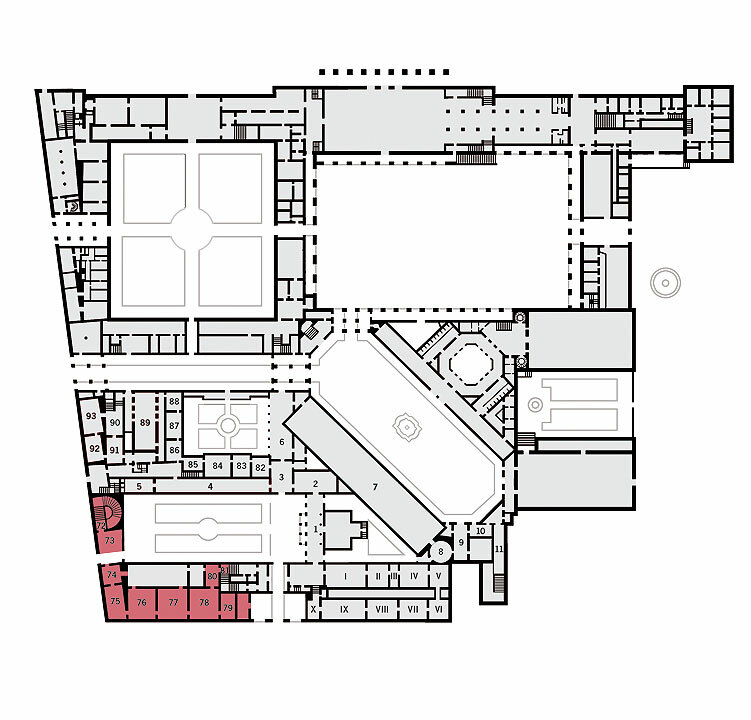 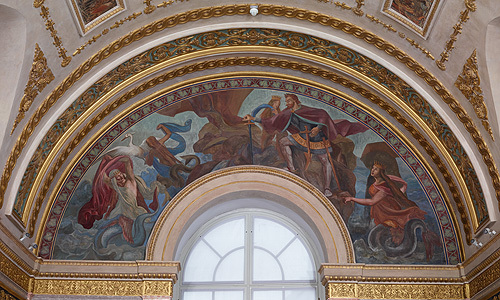 The five halls on the ground floor at the west end of the Royal Palace were designed for King Ludwig I by the architect Leo von Klenze, in imitation of Italian models. 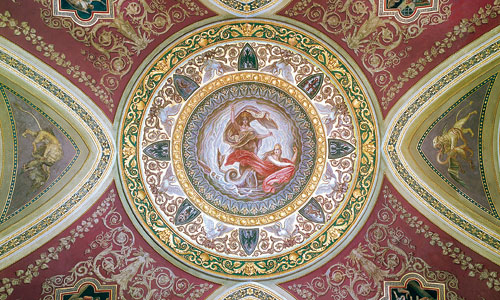 The wall and ceiling paintings were created from 1828 to 1834 and 1843 to 1867 by Julius Schnorr von Carolsfeld, with the assistance of Friedrich von Olivier and Wilhelm Hauschild. 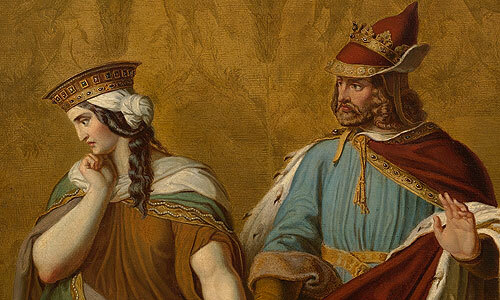 They show scenes from the Nibelungenlied, which was written in the early 13th century and rediscovered in 1755. 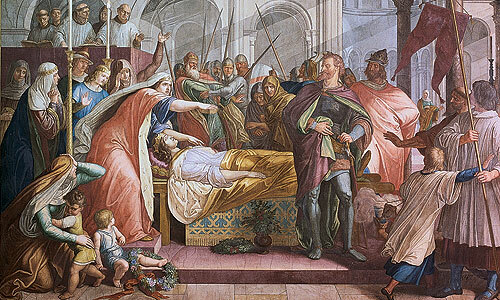 In the nineteenth century this work was seen as the epitome of German epic poetry, which was why the king wanted the Nibelungen Halls to be accessible to the public right from the start. 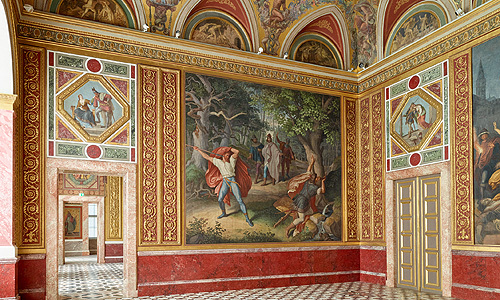 The frescoes, most of which survived and were restored in 1955-1960, are a major work of Nazarene monumental painting, which substantially influenced all subsequent artistic renderings of this subject.